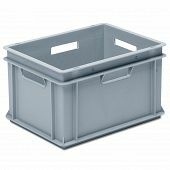 Stacking Containers. 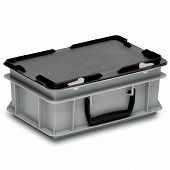 order directly from our online shop. 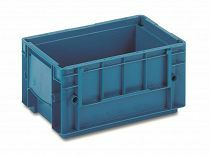 | George Utz Ltd.
For more information on "stacking containers"
The Utz stacking container range offer material handling solutions across all industry sectors. 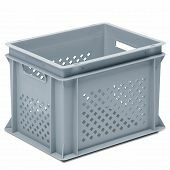 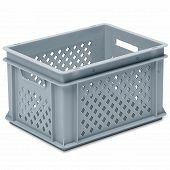 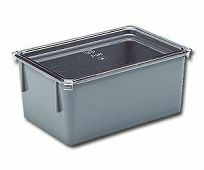 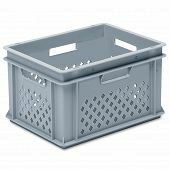 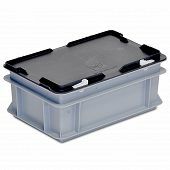 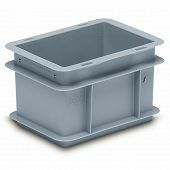 These reusable plastic boxes are a great alternative to corrugated packaging when transporting and storing goods. Utz stacking containers usually have the standard dimensions 800x600, 600x400, 400x300 and 300x200. 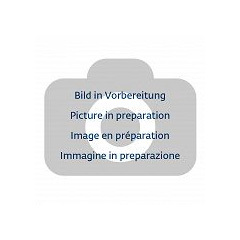 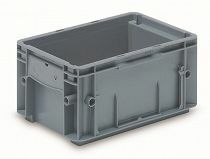 However, some product ranges have either slightly different or additional dimensions. 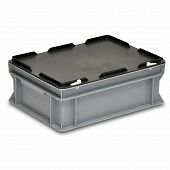 In order to ensure that the containers are secure when stacked there is a rim around the base that fits inside the container and interlocks making them stable. 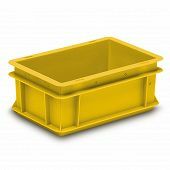 The variations across the stacking container range means that there is a returnable packaging solution for any industry requirement. 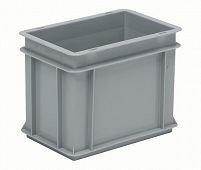 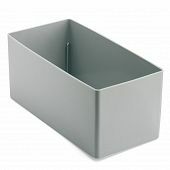 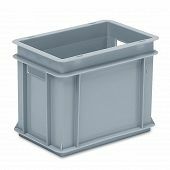 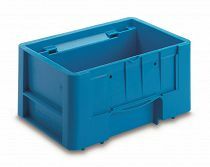 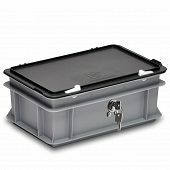 Stackable container - solid sidewalls, solid base and 2 handle slots.